This article is 3356 days old. Windsorite Jeff Azar will support important cancer causes when he lops off his locks. Photo by Sean Matthews of Rock Junkie Photography. 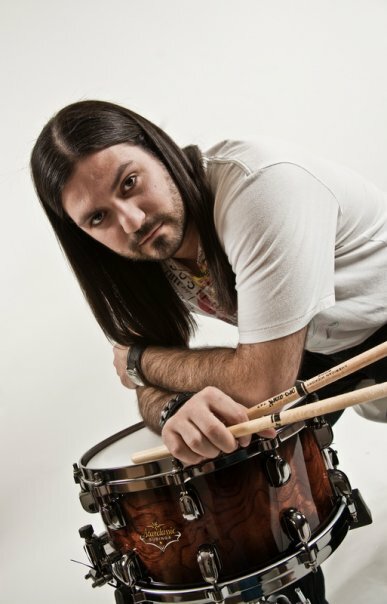 This Friday, Windsor graphic designer and drummer Jeff Azar will brave the shears in support of the Windsor & Essex County Cancer Centre Foundation. He’s participating in a program called Wigs for Kids, and he hopes his donation will help a suffering child look and feel better. He also hopes to inspire others to give their time (and money) to a good cause, and focus a spotlight on a terrible health issue that’s affected millions across the country. windsoriteDOTca: What made you decide to get involved with the Wigs for Kids program? Azar: Well, when it was time to cut my hair I wanted to make sure it went to a kid, and Wigs for Kids was perfect. They provide wigs for kids who have lost their hair due to illness. windsoriteDOTca: In this day and age, and especially in this region, it’s rare to find someone who hasn’t personally been affected by cancer. Do you have any experiences you’d like to share? windsoriteDOTca: Are you collecting pledges? If so, how successful have you been in raising money for the Cancer Center Foundation? Azar: Yes, I am collecting pledges, and I have been able to raise about $500 up until now. The event isn’t until February 19th, so there is still plenty of time to raise more money. And people can even donate on the night of the event, as well. windsoriteDOTca: When’s the last time you had a hair cut? Have you been growing your hair specifically in order to donate? Azar: The last time I cut my hair (a real haircut) was November 24th, 2007. Since then I have been trimming to help keep my hair under control. Yes, I have been growing it specifically to donate it. windsoriteDOTca: What made you choose The Whiskey as the host for this event? Are you getting a stylist to make the big chop? Or just a trust-worthy friend with a good set of scissors? Azar: Well, I frequent The Whiskey quite often to play gigs, and I am friends with the owner Mike. I also wanted it to be in a fun place and the staff at The Whiskey always make it feel that way. Yes, I do have a stylist coming out for the Big Chop. Her name is Kryssy Perrier from The Barber’s Chair. She has been cutting my hair for quite some time now and I wouldn’t want anyone else to do it but her. windsoriteDOTca: Are you afraid your new hair cut will affect your rocker style? What do the other guys of Citizen Erased have to say about this event? Azar: Hahaha, no, I am not afraid this new haircut will effect my “rocker lifestyle”. I pretty much wear a hat every time I drum, anyways. I don’t think it will be too bad. The guys in the band are in total support of this event. And I thank them for it. Come on out and support Jeff at the Big Chop this Friday, February 19th, 2010, starting at 9pm. If you’re on Facebook, you can RSVP to the event here. The Whiskey Bar is located at 300 Ouellette Avenue. Live entertainment will be provided by the JJJ Band, drink specials will be offered to supporters, and donation jugs will be making the rounds (anyone who donates $10 or more can get a tax receipt).